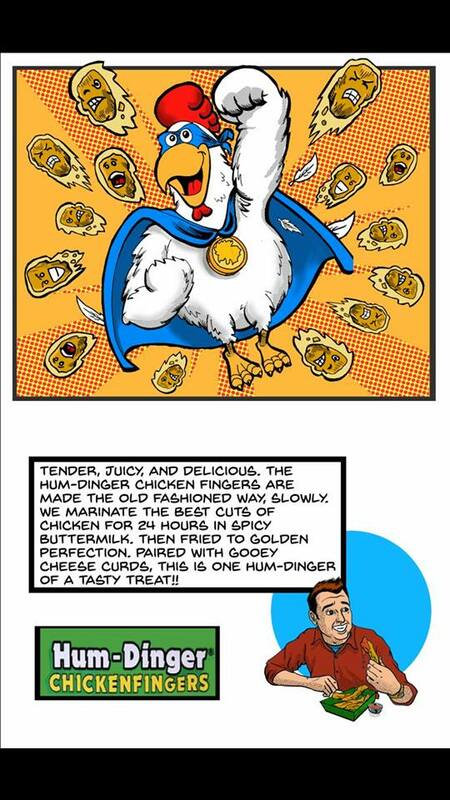 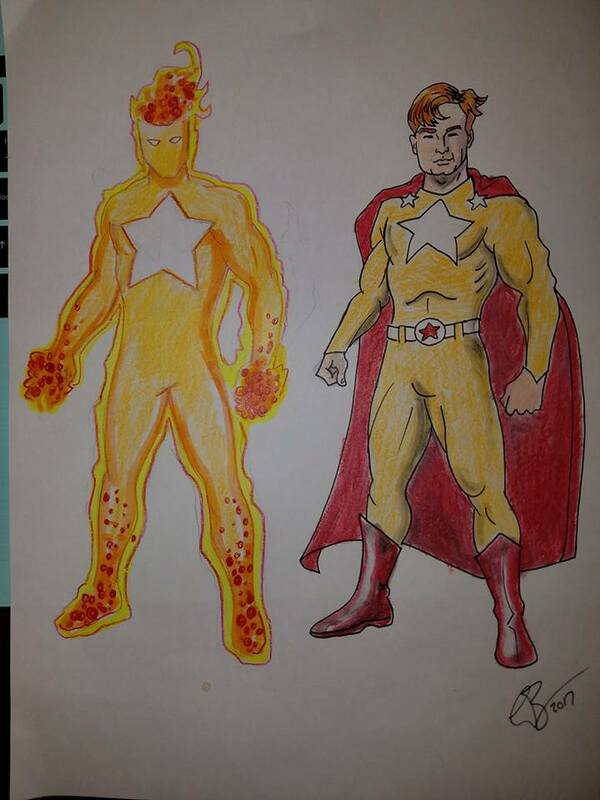 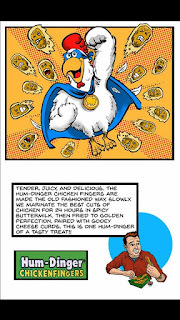 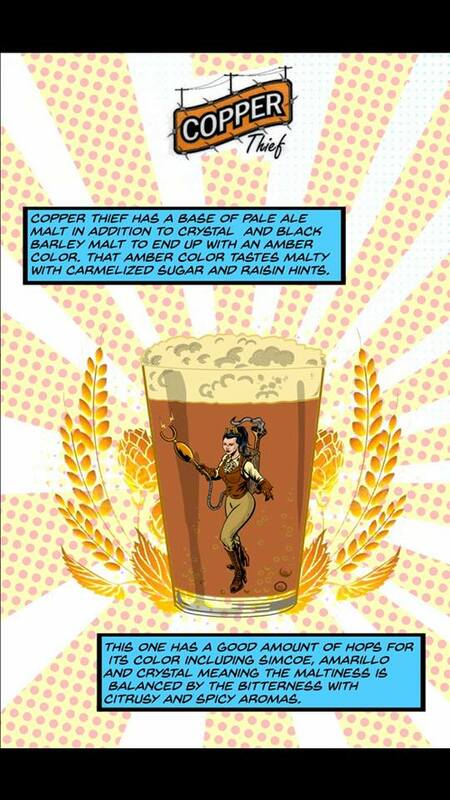 Cheyenne, Wyoming based craft brewery, Danielmark's, hired me to design comic book characters based on their beers. 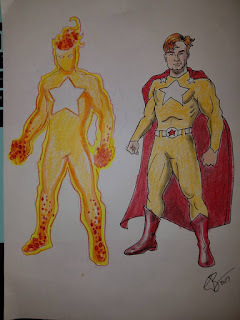 I designed all the characters with input from the owners. 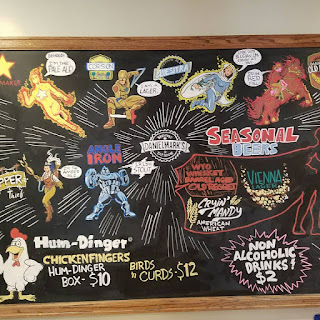 This resulted in a 8 foot by 5 foot chalkboard menu; as well as an original 16 page comic book menu featuring "origin" stories for the characters and tasting notes. This one of the most gratifying and fun projects I have been apart of! 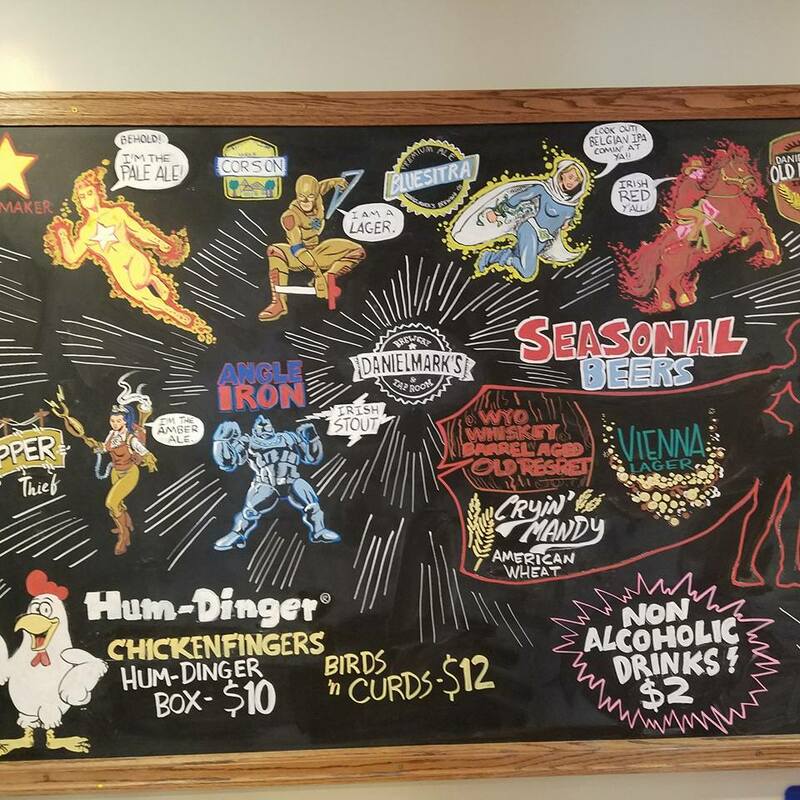 The menu board. 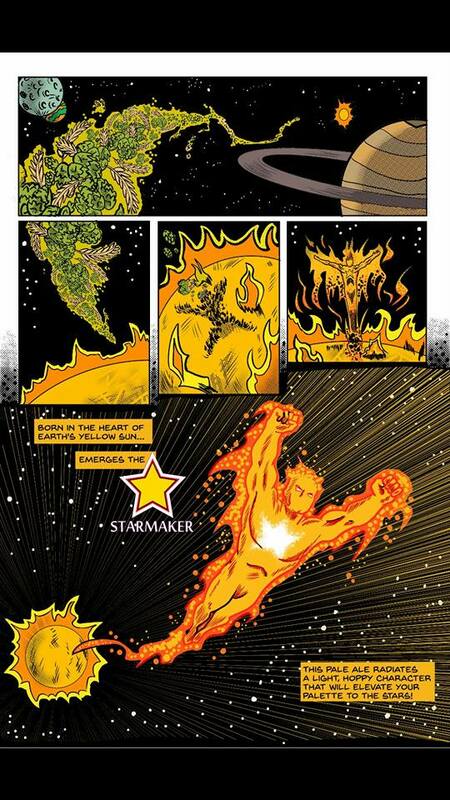 All CHALK!!! 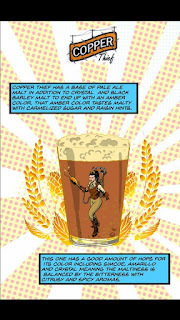 Copper Thief tasting notes page. 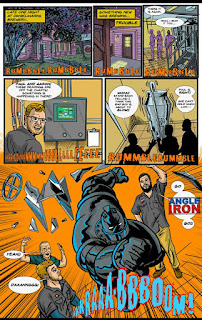 Angle Iron comic book page. 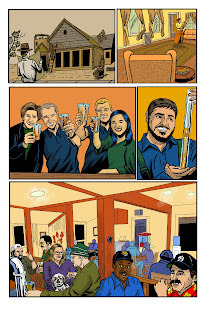 Featuring two of the owners and the head brewer. 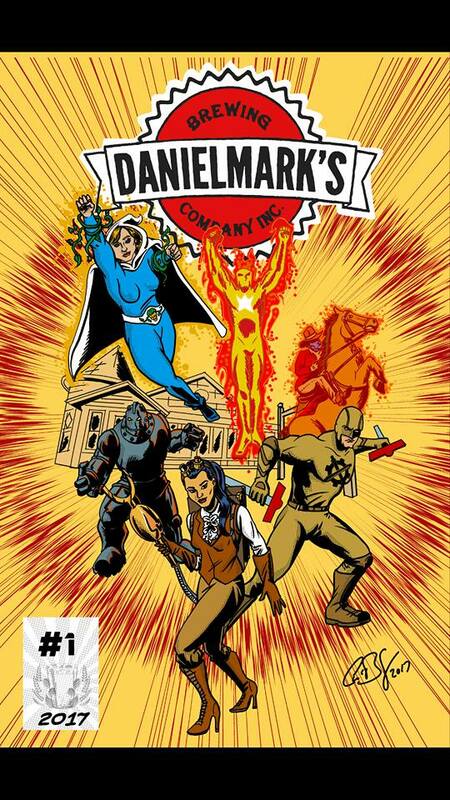 Food truck ad in the back of the Danielmark's menu comic book. 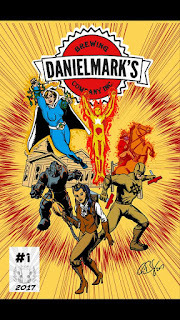 Danielmark's comic book menu cover.